Regrading for more useful space behind a building. Sometimes your property has undesirable grades or features that make the space you own unusable or difficult to use. This can be remedied by re-grading to make optimum use of the space on your property. Other services often go hand-in-hand with regrading. 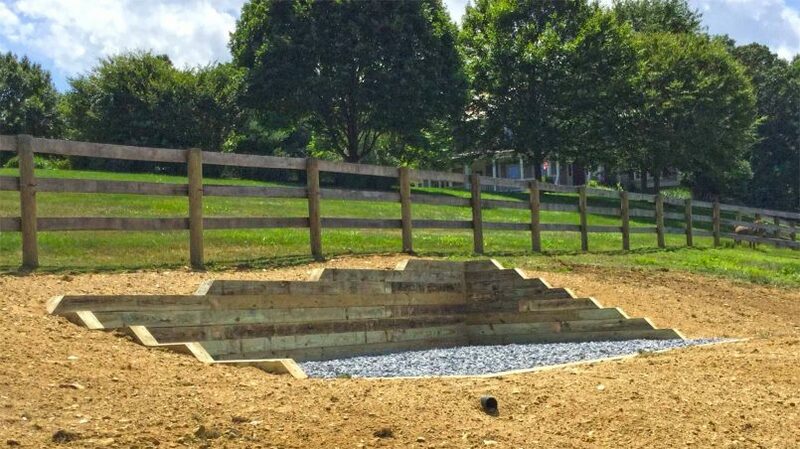 A retaining wall may be required with regrading to make larger changes to a grade. Regrading with a retaining wall helps to maximize useful space. 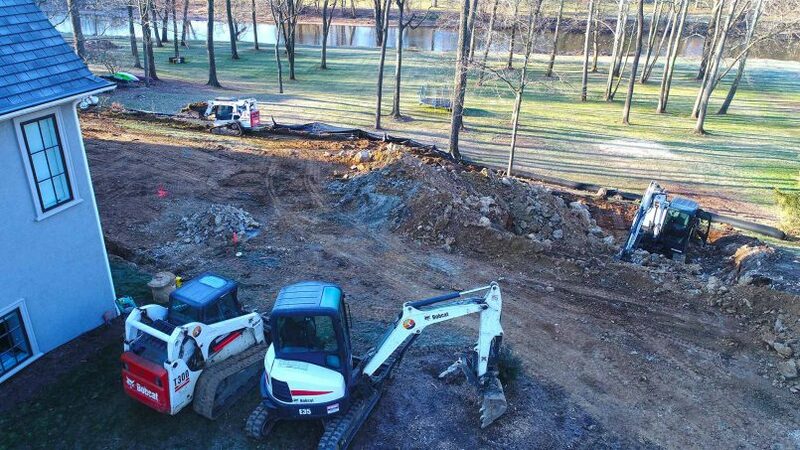 Regrading almost certainly affects how rain collects or runs from your property. And in areas within the Chesapeake watershed, managing your storm water may be a requirement. A storm water management solution might be required to handle rain water after regrading. 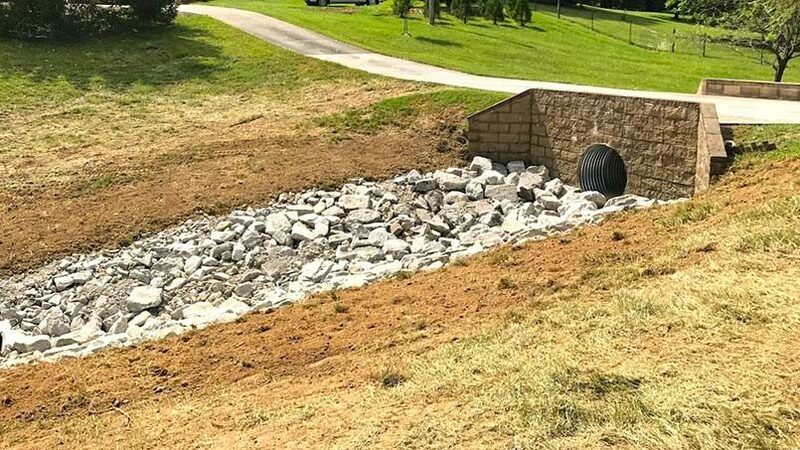 Storm water management system runs under driveway bridge.